This completely innocent-looking bone is part of Nylabone's Flavor Frenzy product line. Made from their hard, firm Dura Chew material, it can really stand up to a lot of play. This cake-scented toy is crowned with a cupcake on the tip. Comes in two sizes. 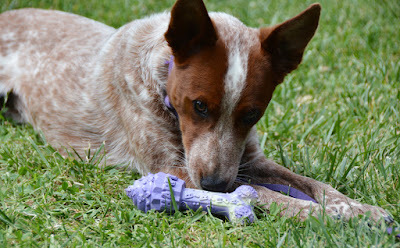 There is absolutely nothing wrong with a blotchy purple chew toy shaped like a traditional dog bone at one end, and a cupcake on the other end. Nylabone is just trying out some new things. It's ok to experiment. The Flavor Frenzy line contains a variety of new shapes, colors, and flavors to stimulate your dog's interest. Most are either food-shaped or bone-shaped, but the Birthday Bone combines both! I have no idea whether or not this bone actually tastes like birthday cake. It doesn't really smell like it, and Sisci showed it the same interest she does every chew toy. Pros: Fun and festive! Super cute, and definitely doesn't look like anything other than a cake bone. Tough and durable. Cons: The hard material can form sharp ridges when chewed. Looks more awkward than the Starmark Pickle Pocket when laying on the floor. 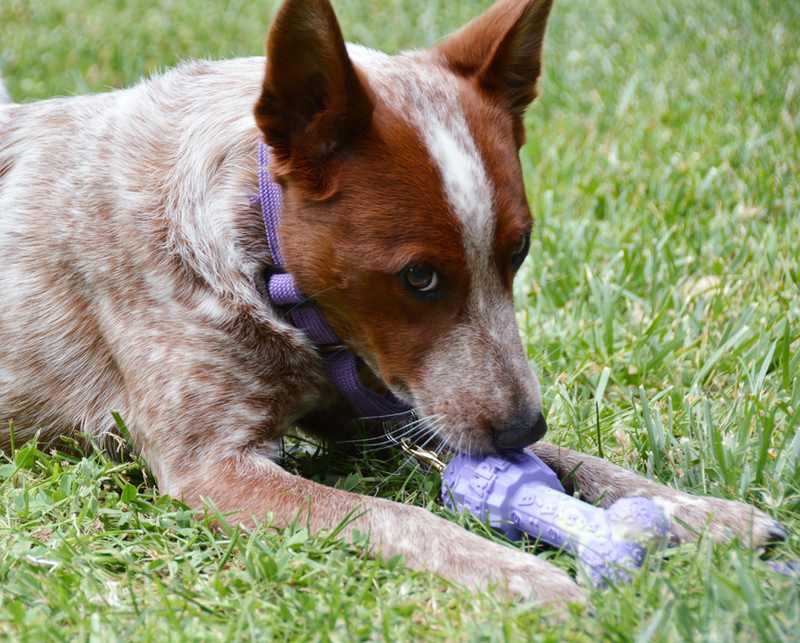 Bottom Line: There are several really fantastic people in Nylabone's product design and approval process. Good work, folks. I had not seen the fish one! I'm pretty sure these made it to market through a glorious combination of wide-eyed innocence and sniggering collusion.